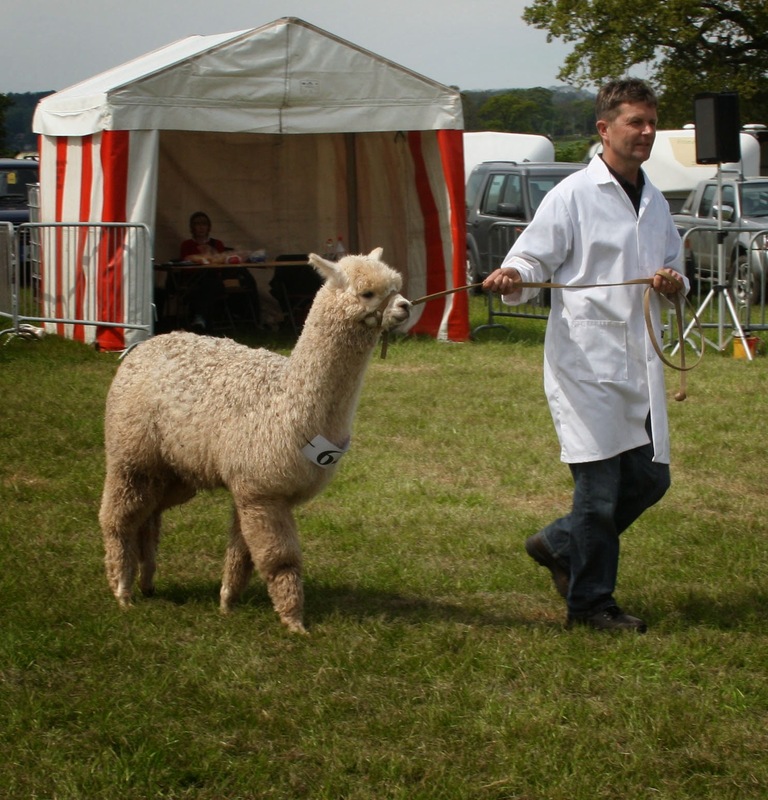 Eventually, after months of anticipation, our first show of the season arrived on monday, and we set off for The North Somerset Show. It seemed to have been a long time coming, perhaps being absorbed by the weather, or because we were especially pleased about this years show team or because there have already been several shows - anyway, the weather had been settled for several days before, and was forecast to be good on the day, and it certainly was, being dry, breezy and bright, and occasionally warm. We had a good day: first up was Apple Vale Elstar, Junior Fawn Female - sire: Van Diemen Qjori of Patou, dam: Apple Vale Bramley (sire: CME Centurion). 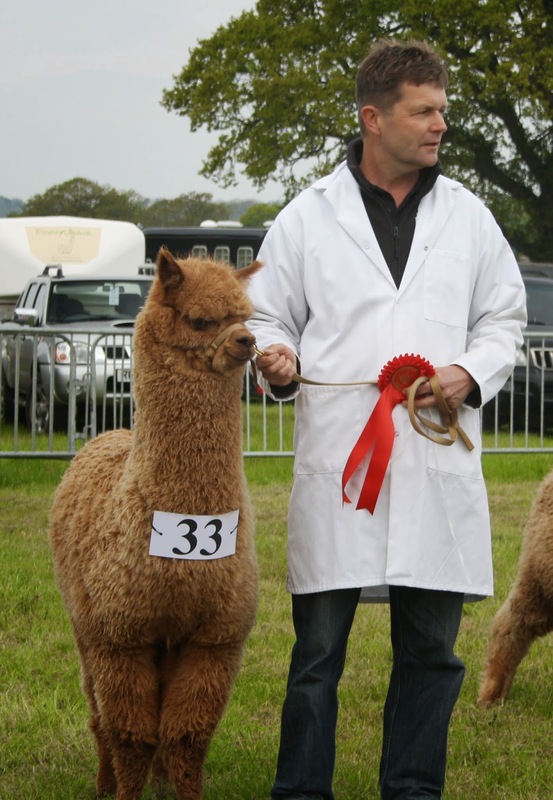 She was placed second in a class of four, all from notable sires. 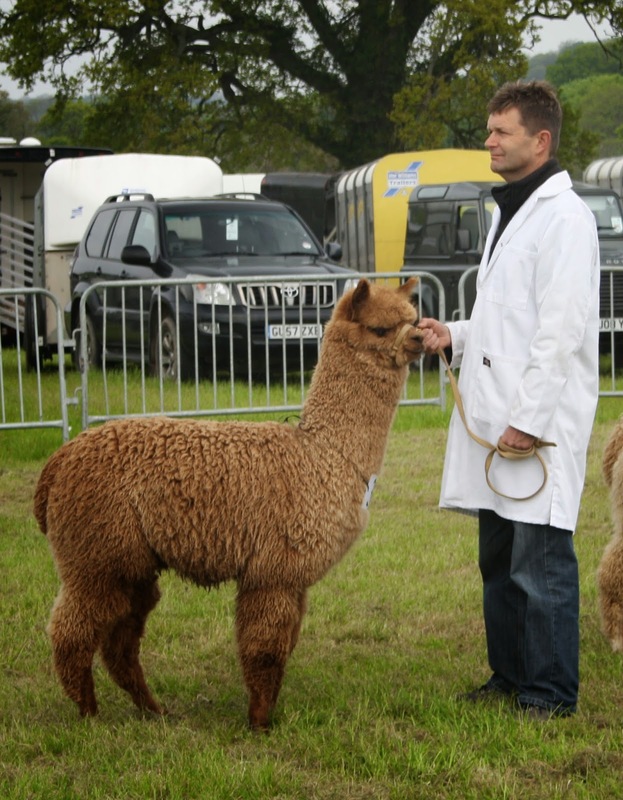 Next was Golden Delicious, our first cria from a dam born on the farm - we had taken her as company for the others, rather than as a champion-to-be, and was placed second, with Judge Shirley Bettinson praising her, admittedly few, attributes. Definitely looking like an old hand at this showing lark Dave...well done! Your team was looking great Dave - well done on the rosettes!